After the political 2017 unrest in Darjeeling, the most popular hill station of West Bengal, tourism had taken a major hit. This year, however, tour operators said that the popular tourist destination is all set to bounce back as not only people from Bengal but across the country and many from abroad had expressed their interest in visiting Darjeeling during Pujas in October. "No one wants to visit a troubled place. Last year, people had avoided and cancelled trips to Darjeeling because of the political disturbance. This time the bookings and queries have come to near-normal," said Karan Anand, head-relationships, Cox and Kings. He also said that during August-October while Bengalis plan to travel to domestic and international locations, people from across the country and even abroad come over to witness Pujas in Bengal and within that time they like to visit Darjeeling too. Officials of other major players in tourism — Thomas Cook and SOTC — agreed that bookings for Darjeeling has risen by 40 per cent. Experts are also of the opinion that the recent disturbance in Assam around the National Register of Citizens (NRC), have gone in favour of Darjeeling. "It always happens like that. Last year when tourism hit rock bottom, it was Sikkim and the Northeast which gained out of it and this time it is Assam's loss, Darjeeling's gain. Public memory is too short. They have forgotten the Darjeeling episode. The way bookings are on, my calculations is that they will cover up to 60 per cent of the kind of business we had last to last year, during this time," Anil Punjabi, chairman (east), Travel Agents' Confederation of India told DNA. "There was an impact due to last year's political issue. The strike had affected the tourism industry immensely, but this year, the political situation is stable and the bookings to Darjeeling and surrounding areas have grown exponentially, more than making up for the low demand last year. We witnessed 40 per cent growth in the number of travellers as compared to last year," said Romil Pant, senior vice president — leisure travel, Thomas Cook (India) Ltd.
Daniel D' Souza, head of sales, India and NRI markets and e-commerce, SOTC Travel, echoed similar emotions. "The number of tourists visiting Darjeeling has gone up by almost 40% in this year. We witnessed a number of Flight-inclusive group series as well as many individual families, and couples travel to Darjeeling and Sikkim this year," D'Souza said. 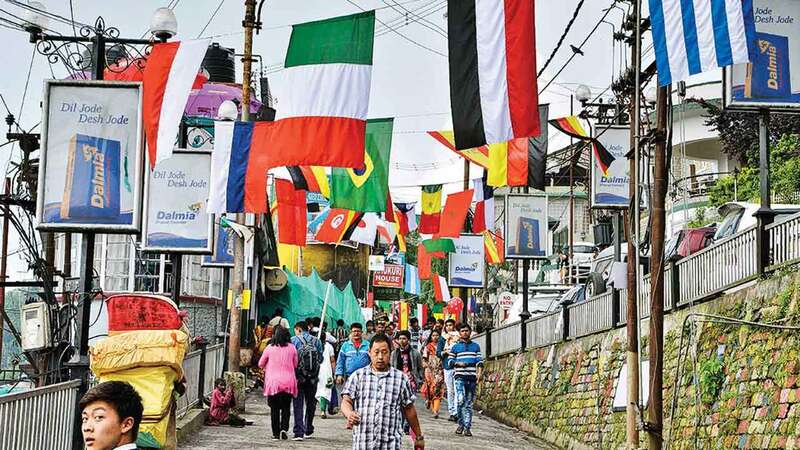 State tourism minister Gautam Deb attributed the peace and tranquillity at the Darjeeling to the steps taken by Mamata Banerjee-led state government. "It will be packed to capacity during pujas. Peace had been hauled for 7-8 months last year but the CM had taken several steps to restore peace. 2-3 IPS officers have been posted there to maintain law and order," Deb said talking to DNA. He also said that plans were afoot to install hundreds of CCTVs at crucial areas of the hill city to keep a vigil. In June 2017 violence had erupted in Darjeeling when Mamata had conducted a cabinet meeting there. Following the violence several vehicles were set ablaze and later there was a 104-day bandh at the hills. While GJM members claimed that 13 of their supporters had been killed, the state administration said that a sub inspector and a civic volunteer were also killed in the agitation.